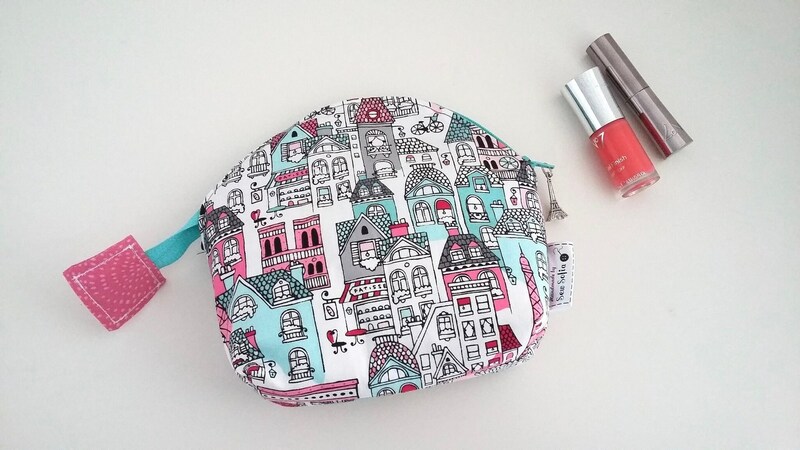 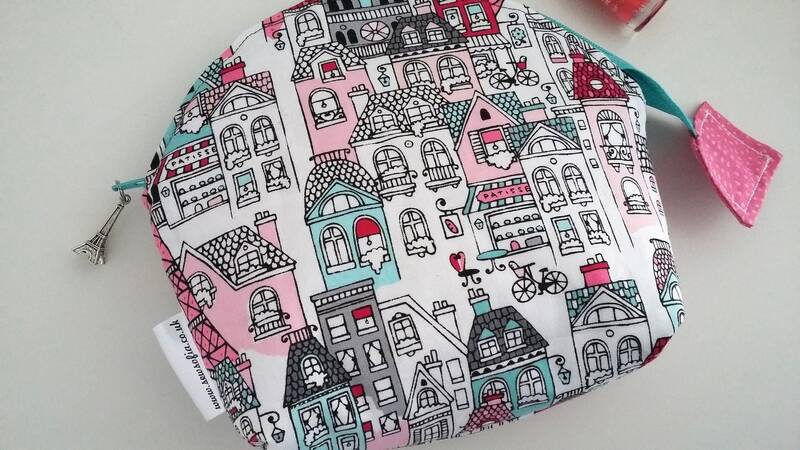 A padded curvy topped make up bag in this rare "Mon Amie" cotton print featuring the Eiffel Tower, quirky shops and patisseries in Paris in pinks and turquoise on a white background. 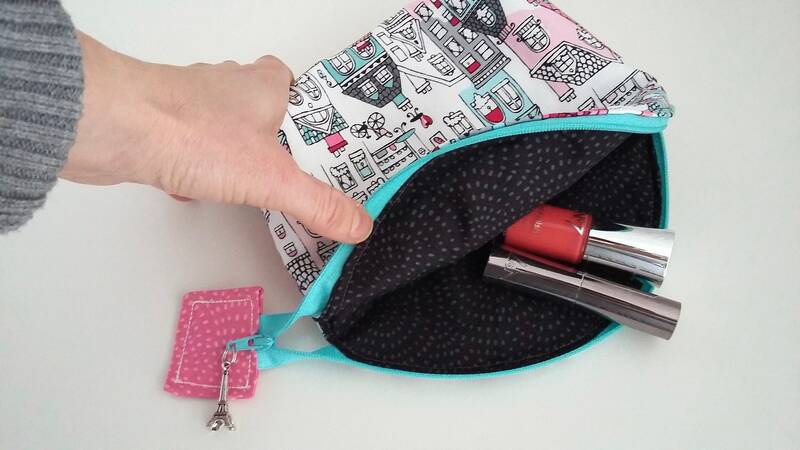 Lined in a charcoal black 'Twist' cotton lining, the bag closes with a high quality turquoise YKK bag zip with a 3D silver Eiffel Tower charm on the zip pull. 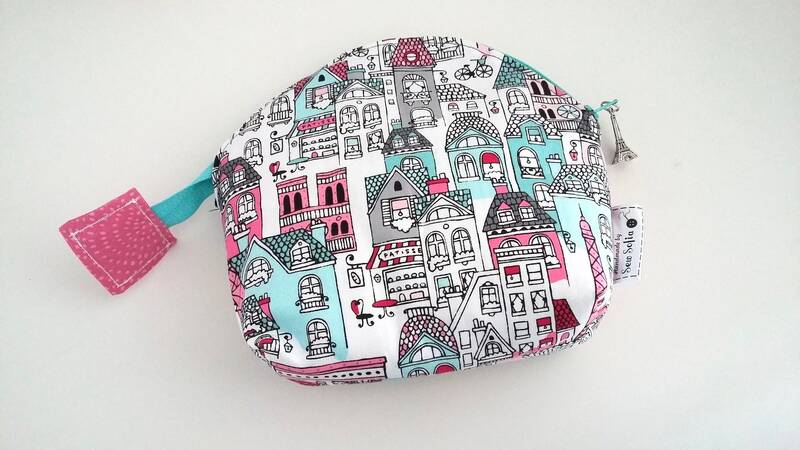 This bag has two layers of woven cotton interfacing and a further layer of compressed fleece for a squishy, lightly padded feel.